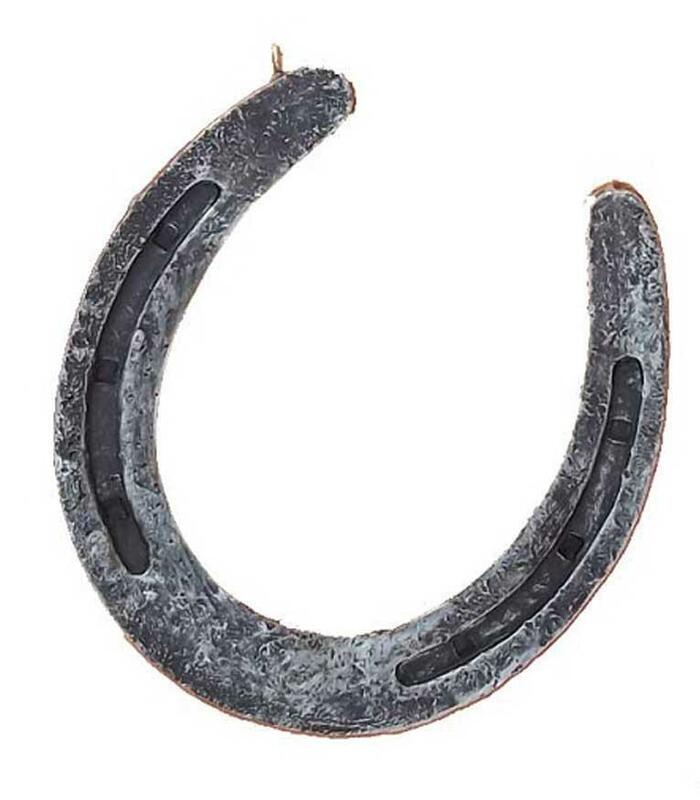 This horseshoe is a great all year ornament. It is a generous size but not too heavy, so it shows up well in many western decorator or craft projects without weighing down an arrangement ot Christmas tree branch. Both sides are detailed. The hanging loop is only on one side,so it hangs at an angle which gives it a happy look. The hanger itself is nylon which does not show on pictures well but is nice that it does not show on the tree either. 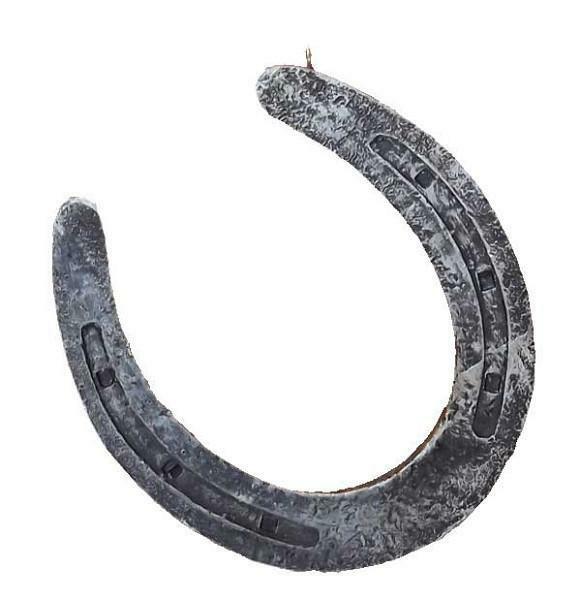 This horseshoe is a great all year ornament. It is a generous size but not too heavy, so it shows up well in many western decorator or craft projects without weighing down an arrangement ot Christmas tree branch. Both sides are detailed.